Geraint Jones, a planetary scientist at the University College London, has described an ESA project - Akon - to build a projectile that could penetrate a few meters below the surface of the icy Jovian moon Europa, to learn about its geophysics and search for life. 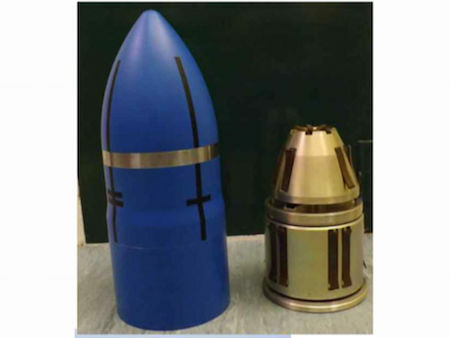 Akon is a 40-centimeter-long, bullet-shaped probe. After separating from NASA's orbiter, Akon would be carried closer to Europa by a little spacecraft with thrusters. This will help aim the probe, which needs to strike Europa's surface at a 90-degree angle. This ferrying system could include an imager and a mass spectrometer to analyze Europa's thin exosphere. 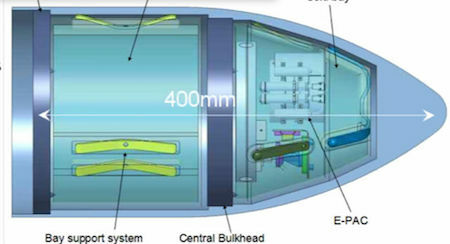 The probe itself, ejected from the space ferry at a height of 35 kilometers (or about 22 miles), could include a variety of instruments, including an imager, equipment to test for conditions that might be conducive to life, and a seismometer to look for moonquakes and to probe the depth of Europa's icy crust. To test Akon, scientists shot the probe at a 16-foot ice cube Akon has two parts: the tip contains the vital science instruments, which will have to act fast to gather all the information they need before Europa's extreme cold kills them. The rear part of the bullet is heated so that the communications equipment there can stay alive for a week or more--long enough to relay the data to an orbiter. Speaking of firing projectiles at moons, Jules Verne was at his best in his 1867 classic From the Earth to the Moon, describing the effort to send a spacecraft to the Moon. 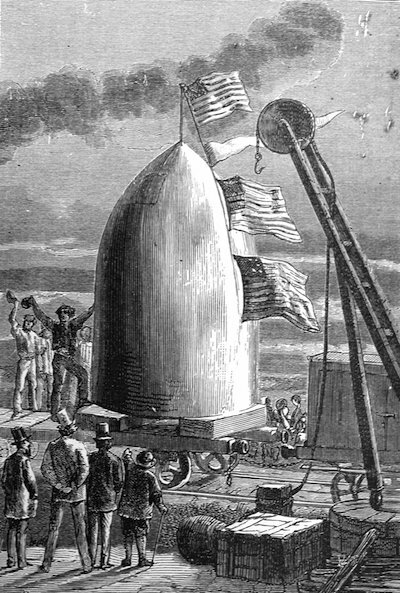 He imagined a gigantic cannon - the Columbiad that would fire a projectile large enough for passengers!